It can’t be good, right? Conflict suggests that a team is in crisis, or that team members aren’t getting along, and that may affect productivity, morale and overall achievement. Believe me when I say that conflict can be a good thing. For a team, having some conflict around ideas can be transformative, it can help all the team members understand and agree with an idea, and it can build trust and better cohesion among the entire team. Here’s an example. Susan and Terry are working with the rest of their team to get past a hiccup in their software programming project. Susan feels that the team should try and “blast through” the issue by continuing to write code, and the solution to the bug will present itself. Terry wants the team to backtrack a bit and review the programming done so far to see if the error occurred earlier in the code. “That will take at least three extra hours, and it will put us behind schedule,” Susan argues. “If we keep writing code and don’t find a way around this point, trying to resolve it could put us three or more hours behind, anyway,” Terry says. Susan nods in agreement, as do other members of the team. By voicing conflicting viewpoints, Susan and Terry are able to fully explain their reasoning behind an idea. And because they have a high level of vulnerability trust, Susan’s ego isn’t bruised by her realization that Terry’s strategy will likely work better. Most importantly, she and the rest of the team buy into the strategy and put their energy into reviewing the code that’s already been written to find the bug that is hampering the overall project. If Susan hadn’t bought into Terry’s strategy, she may have subconsciously sabotaged it, perhaps by attempting to go ahead and write additional code, or by not strategizing with other team members to split up the existing blocks of code for review. This might have extended the project even further. Instead, because she was able to voice her idea and concerns about Terry’s strategy, and because the team was able to share their opinions, she understood where everyone was coming from. And even though she didn’t completely agree with the idea, she was able to modify her viewpoint and commit to the proposed solution. This is what I mean by the term “conflict around ideas.” Teams should be passionate about what they do and how they do it. They should trust each other enough and have the confidence, to share their ideas and solutions, pick them apart, and come to a consensus on how to achieve a goal. A team that can do this routinely rarely needs to be managed; instead, a team leader can act as a guide and let the team do what they do best – apply their talent and skill to solve a problem by working together. 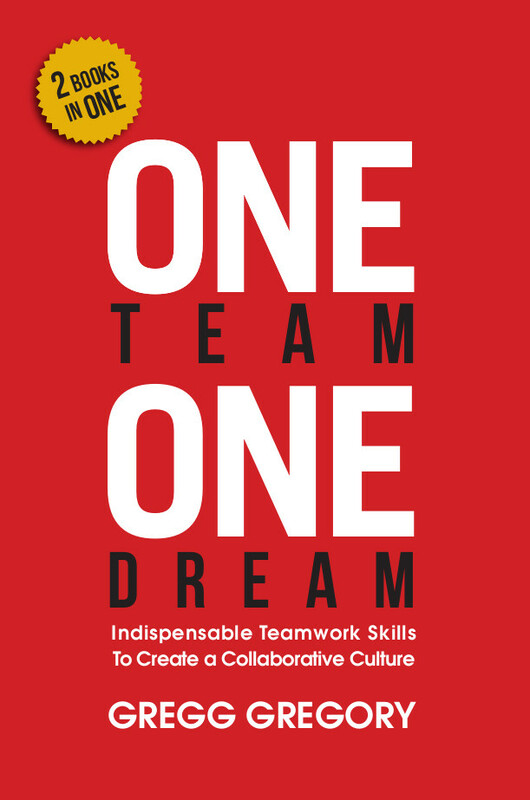 For more information, get your copy of Gregg’s book, One Team, One Dream today! Available in both print and electronic versions! Would you like to reprint this article, or an article like it, in your newsletter or journal? CLICK HERE to visit the articles page.